This HER'S gig poster is rare. It is a promo only available at ticket outlets and music stores to promote their concert. Band members Stephen Fitzpatrick and Audun Laading are pictured. 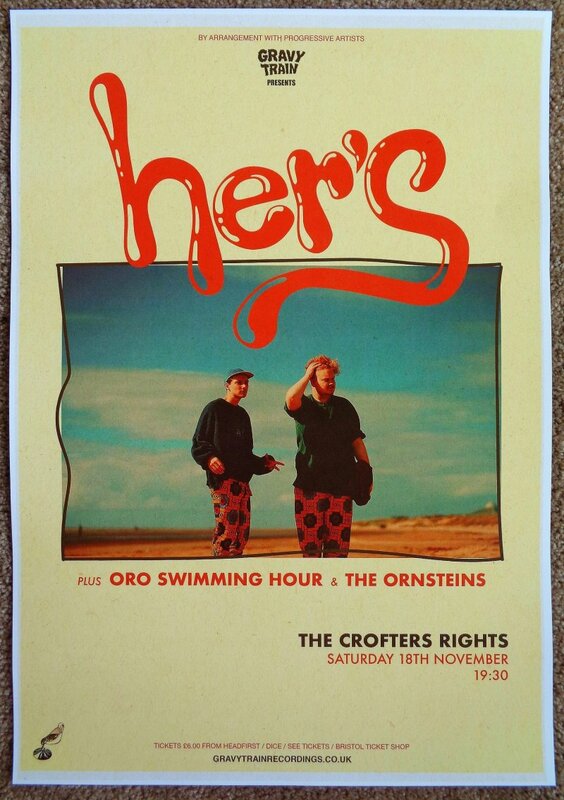 Warm-ups ORO SWIMMING HOUR and THE ORNSTEINS are listed.